Brazil, Colombia, Costa Rica, Mexico, Paraguay, and Venezuela are slated to hold presidential votes in 2018. Our guide helps track the region’s big election year. Americas Society and Council of the Americas, in partnership with the government of Ecuador, will bring the Latin American Cities Conferences series to Quito for the first time in a decade. 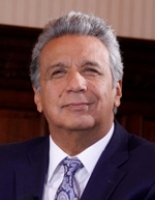 As President Lenín Moreno completes his first year in office, his administration remains committed to attracting new investments and cooperating in regional integration. AS/COA’s Quito conference will bring together key government officials and private-sector leaders to discuss investment opportunities in Ecuador under the new administration. Registration is now closed. If you have any questions, please contact Jennifer Javier at jjavier@as-coa.org. We invite everyone to follow the webcast. Cancellation: Contact Juan Serrano-Badrena at jserrano@counciloftheamericas.org before 10:00 a.m. on Tuesday, May 29. Join AS/COA on May 30 in Quito for the 2018 Latin American Cities Conferences series. Registration: 10:00 a.m. to 11:00 a.m.
All times are in local Quito time (UTC -5), one hour behind New York. 11:45 – 12:40 p.m. Panel: "Competitiveness and Growth"
Main questions for discussion: How can Ecuador attract new investors in the current economic climate? Which sectors present the greatest short-term and long-term opportunities? What concerns and obstacles do investors see in doing business in the country? A brief interview with a senior executive of a foreign company with continued investments and future plans in Ecuador. Main questions for discussion: What role does Ecuador play in regional energy production? Lenín Voltaire Moreno Garcés was elected president of Ecuador in 2017. 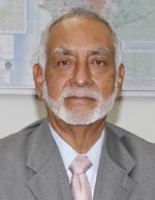 In his early professional life, he was a high school professor, later dedicating himself to the promotion of tourism in Ecuador with his own company, to then in the creation of the Ecuadoran Chamber of Tourism. After an assault with a point-blank shot, he lost the mobility of his legs. Following a long and painful recovery, he became a professional motivational speaker through conferences that carry a message of joy, solidarity, love, kindness, and humor. 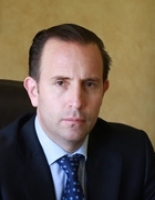 Pablo Campana was appointed minister of foreign trade and investment of Ecuador in May 2017. In this role, he leads Ecuador’s commercial policy as the country seeks to strengthen ties with major trading partners. 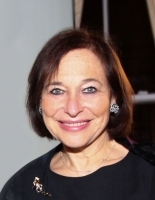 Under Campana’s leadership, the ministry has maintained eligibility for the United States’ Generalized System of Preferences. He also initiated dialogue with the United States to reactivate the Treasury International Capital, which aims to strengthen the bilateral trade relationship. Carlos Pérez became Ecuador’s minister of hydrocarbons in May 2017. Pérez has had a long career in the oil industry, and since 1976 has carried out technical, commercial, and managerial functions in more than a dozen countries in various continents. Throughout his career, he has sought to generate employment and attract investment for Ecuador. His work in the ministry has been characterized by strong principles of environment protection and community cooperation. Pérez obtained his bachelor’s in electronic engineering from the University of Texas at Austin. 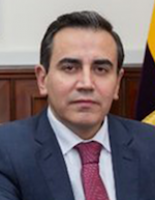 Rolando Suárez was appointed vice minister of foreign affairs, political integration, and international cooperation of Ecuador in May 2017. 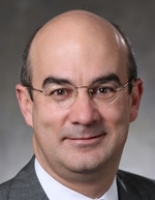 He has served in several senior positions in the Ministry of Foreign Affairs and Human Mobility, particularly as director general for international trade, advisor to the Minister of Foreign Affairs, and in the Permanent Missions of Ecuador to the WTO and to the European Union. 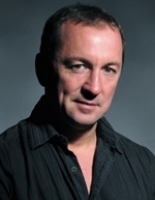 Suárez holds a law degree and master’s in diplomatic studies from the University of Westminster, London. 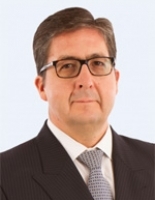 Patricio Alarcón currently holds the presidencies of the Chamber of Commerce of Quito, the National Federation of Chambers of Commerce, and the Ecuador chapter of the International Chamber of Commerce – ICC Ecuador. He is also part of the supervisory committee of the public debt of Ecuador, created by the Office of the Comptroller General. Under his leadership, he has promoted commercial missions to Peru and Panama, as well as signed agreements of inter-institutional cooperation between Chambers of Commerce of Colombia, Ecuador, and Peru. 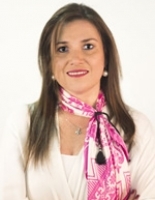 María Gabriela Gallardo is the general manager of Microsoft Latin America’s South Region. 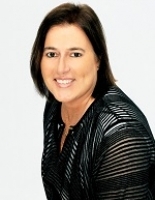 In this role, she works with governments and partners to build a more inclusive world through digital transformation. Before joining Microsoft in 2017, Gallardo worked for Intel as a general manager and country manager, among other positions. Throughout her career, she has worked for increased digital inclusion across Latin American markets, with special attention given to SMEs. Alvaro Jaramillo is Citi’s country officer for Colombia and Latin America North Region head since January 2017. Previously, Jaramillo was Central America & Caribbean Cluster head, with 14 countries under his responsibility. 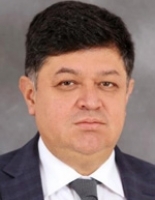 He also served as chief administrative officer and treasurer for Latin America, where he managed several functions including compliance, efficiency, strategy, as well as public affairs and government relations. Gideon Long is the Andean correspondent for the Financial Times (FT), covering Colombia, Venezuela, Peru, Ecuador, and Bolivia. Long has worked at the FT since May 2017 and is currently based in Bogotá. For the previous decade, he was based in Chile, covering the country on a freelance basis for The Economist, the BBC, and other major media outlets. He started as a journalist at Reuters in 1993 as a graduate trainee and for 14 years he worked as a correspondent in Dublin, London, Madrid, Rome, and Santiago. 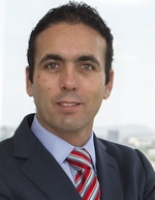 Carlos Sarmiento Rivadeneira is LAN Geomarket manager for Schlumberger. He has held various positions in the oilfield industry, ranging from field engineer to general manager, leading several areas including human resources, sales, commercial, training, and operations. Throughout his career, Sarmiento has been posted in several locations in the hemisphere, from Alaska to Patagonia. Copyright 2018 by Americas Society / Council of the Americas. All Rights Reserved.